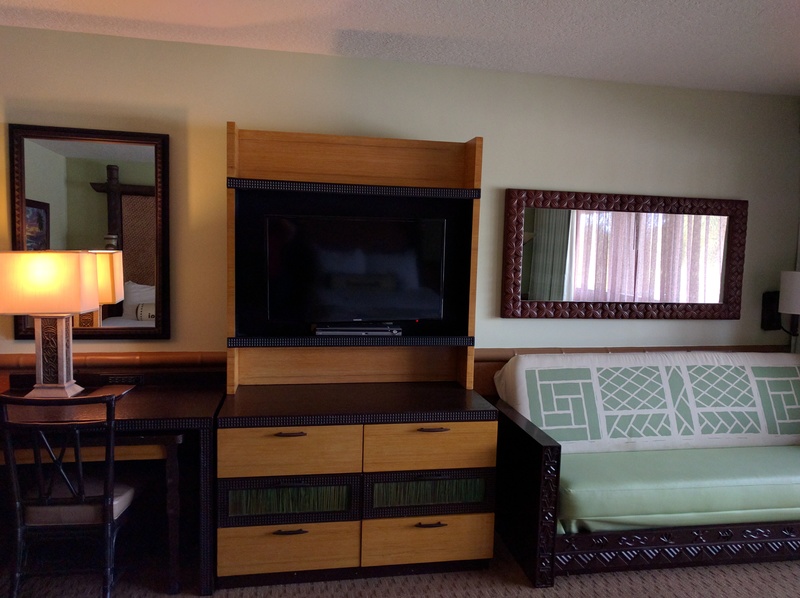 Last week, we stayed two nights at Disney’s Polynesian Village Resort in a club level room. 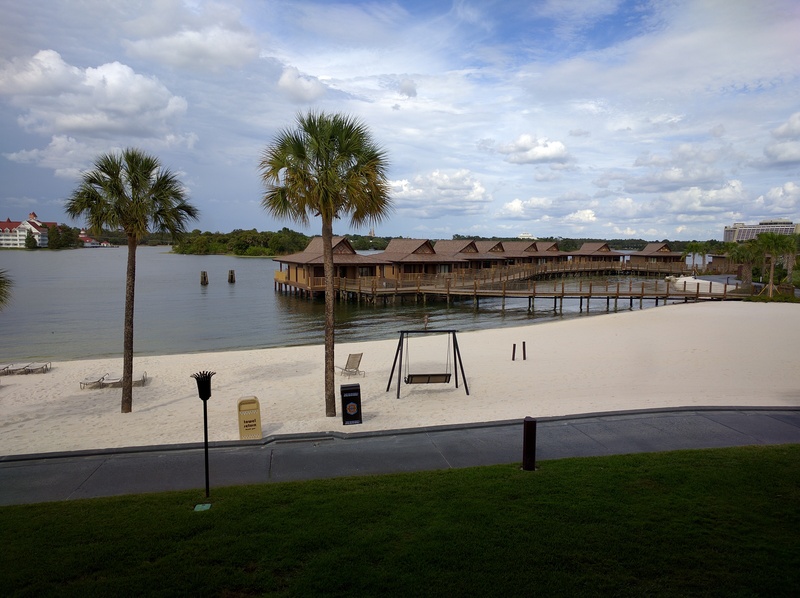 We actually reserved a garden view room but got a surprise upgrade to theme park view! We had a great time and really enjoyed this resort. The club level food offerings were delicious. They offered a continental breakfast with pastries, oatmeal, and fruit each morning. 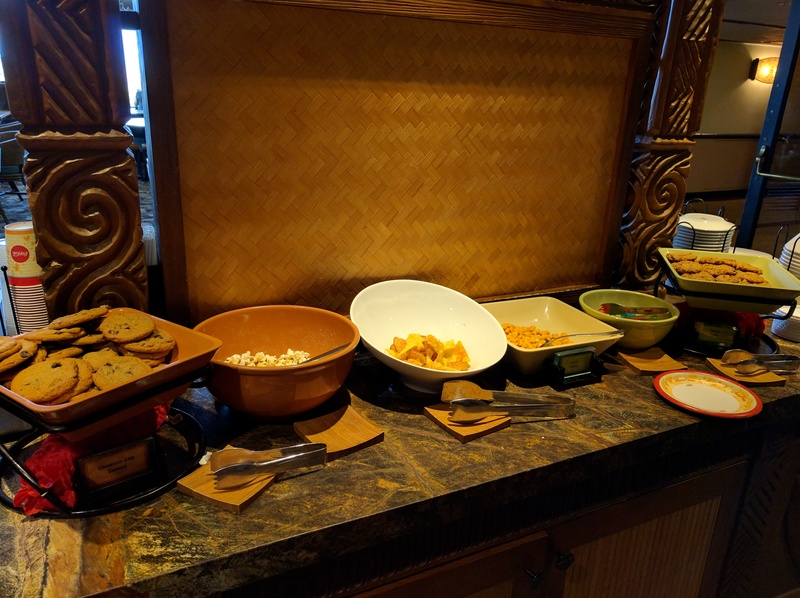 Midday was snacks like goldfish, popcorn, and trail mix. Evenings were hot appetizers like chicken wings, sushi, fruit and cheese, and even wine and cocktails. We never did make it to the cocktail hour service, but I’m sure it was fabulous as well. -Location, location, location! It was so convenient to be right there on the monorail line. -The club level rooms all being located in the Hawaii building, we were close to both the pool and the lobby. 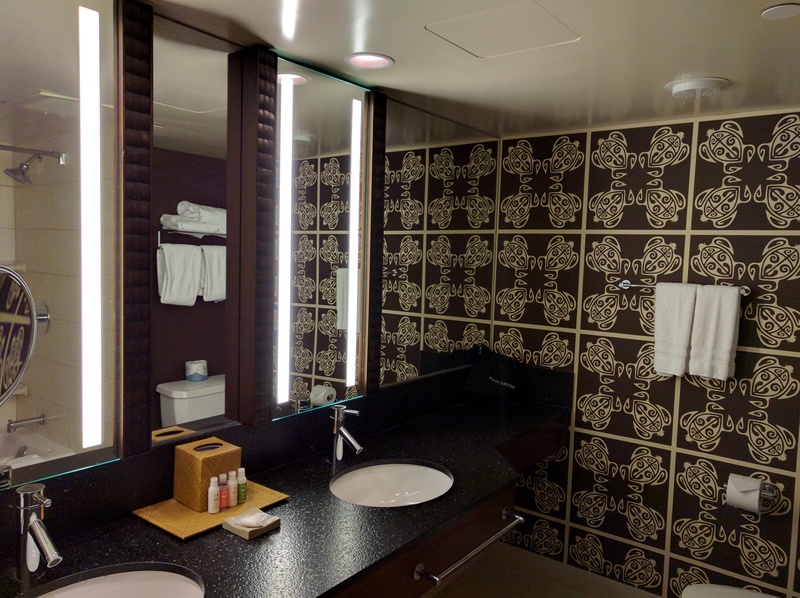 -Our room was situated three doors down from the club level lounge so we could just pop down whenever we wanted a drink or a snack. Very easy! 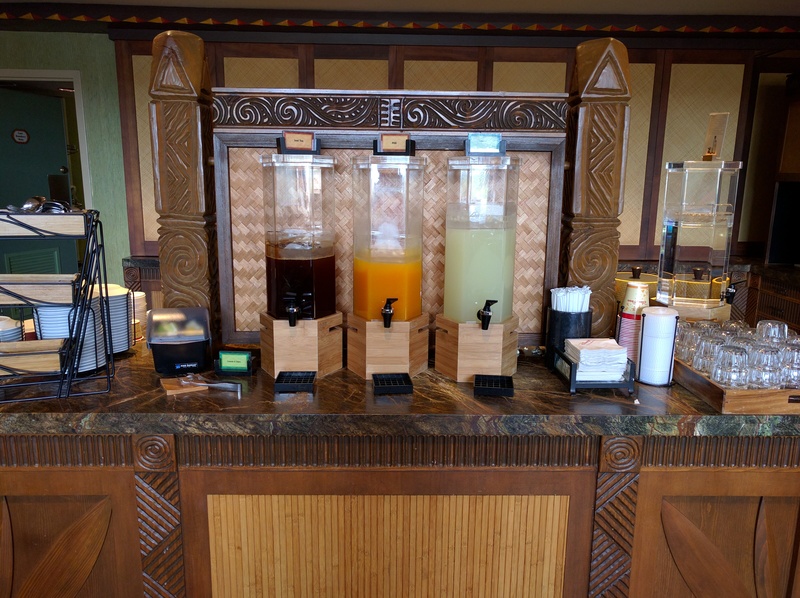 -Ohana is onsite, so it’s very easy to enjoy a great character meal within the resort. -Amazing pool! My kids just loved the water slide and the splash pad! -Price. The Polynesian is one of the most expensive resorts on property. Tea, lemonade, and POG juice! 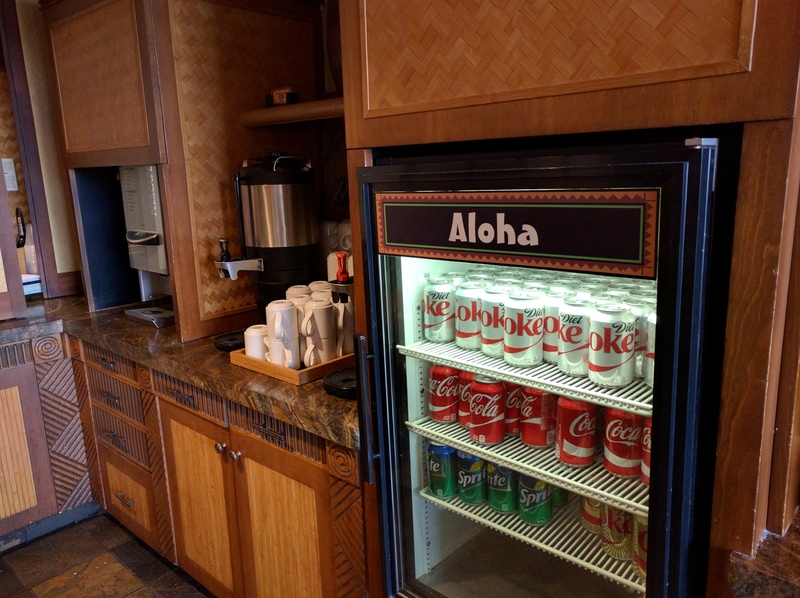 This entry was posted in Disney World, Resorts, Trip Reports and tagged 'Ohana, 2015, club level, Disney Resorts, polynesian by Shannon. Bookmark the permalink. Great review! 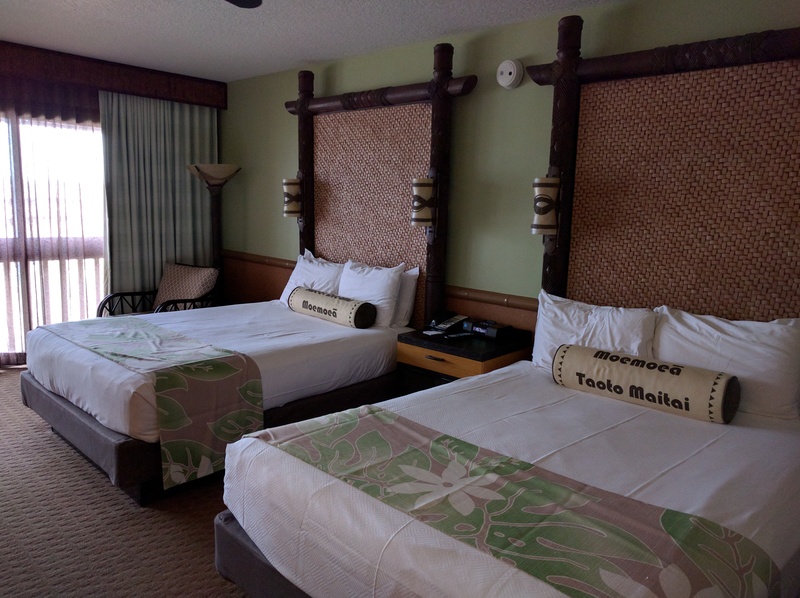 I’m staying at the polynesian for the first time in January! I can’t wait! Great review! We are doing one night in club level at the Polynesian next October for a special treat. This is making me wish we could go right now!! That’s awesome! I just know you’re going to love it.